The escargatoire (yes, believe it or not, that is the collective noun for snails*) has grown. 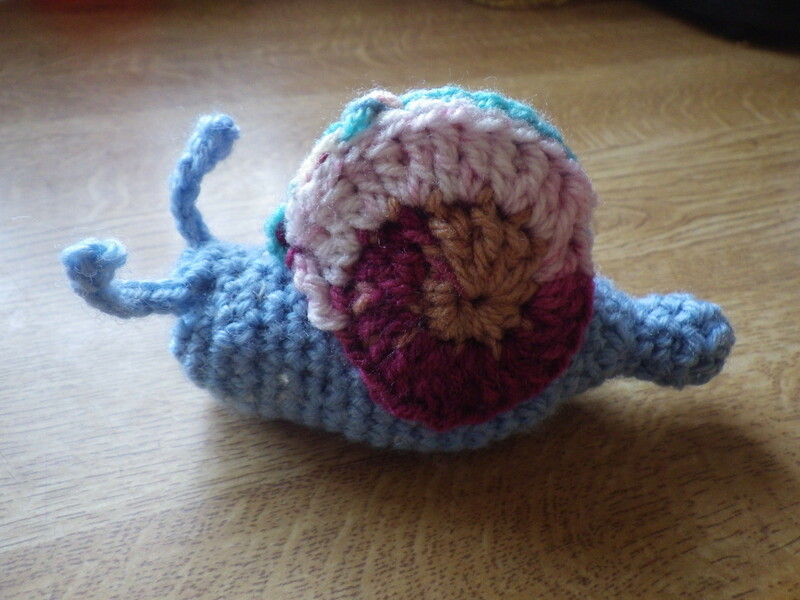 I think our new recruit will, henceforth, be known as the Snail of Persistence, to acknowledge the decades that it has taken me to learn to crochet. There is no stopping me after last week’s course: as well as my usual knitting (a cardigan at the moment), I have made the snail and a pair of fingerless mittens. Finally, I can have a bash at all those crocheted amigurumi that are out there. As I’ve said, I love to learn a new skill. * Actually, there are three collective nouns for snails – an ‘escatgotoire’, a ‘rout’ and, bizarrely considering their anatomy, a ‘walk’. I’m not sure which one I like best. I can’t believe how quickly I’ve picked it up… and how quickly I can make a finished item compared to knitting. Definitely a sixties Hippy snail, full of colour. Well done, there’ll be no stopping you now. A psychedelic snail, indeed… the pattern showed him in brown, but I thought something more cheerful was appropriate. I am happier crocheting, as I lack patience, and you are right it goes way quicker than knitting! 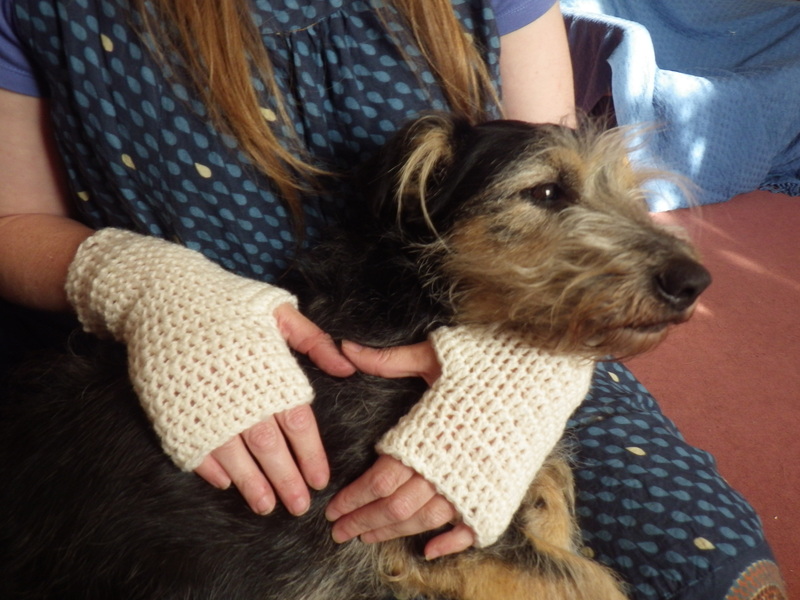 I rather like the free form nature of it – mistakes in knitting tend to be a problem, but for both the mittens and the snail I made a couple of errors and was able to sort them out easily. I just wish patterns were consistent in their terminology! I just can’t resist a collective noun! Thank you – for some reason this ended up in my spam folder along with several other messages from regulars. Ah well, at least I’ve found them now.